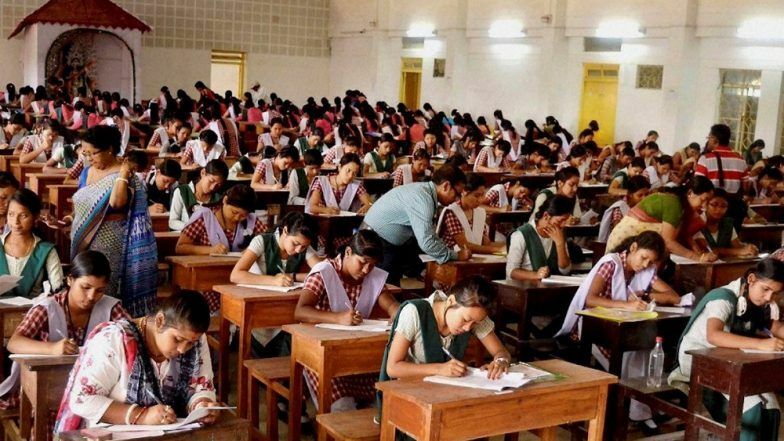 The Uttar Pradesh Board of High School and Intermediate Education is almost done with checking the answers, as they are reportedly slated to announce the class 10 and class 12 results soon. Apart from the board exam results 2019 date, students must note that from this year, the fee to request re-evaluation has been increased from Rs 100 to Rs 500. With this recent revision, UP board’s re-evaluation procedure becomes the costliest rechecking procedure in the country. The UP board class 10 and class 12 re-evaluation process can be requested by visiting the official websites; upresults.nic.in, upmsp.edu.in. CBSE Class 10 Exams Syllabus Rejigged. The reason behind increasing the fee is to demotivate students from sending too many applications for reevaluation. UP Board official, Shiv Lal was quoted in The Indian Express as saying, “The board gets way too many applications for reevaluation and many just send it for the sake of it. We invest resources in it, many evaluators have to be outsourced and time, labour and money are invested, we want to put a cap at the fake entrants.” Besides, the Uttar Pradesh Madhyamik Shiksha Pariksha has also increased the compensation for evaluation, compilation and invigilator duties. UP Board Likely to Announce Class 10, 12 Exam Results 2019 Next Week. The report further stated that for centre administrator, the remuneration has increased from Rs 120 per day to Rs 160 per day, for class inspector the fee has risen from Rs 72 per day to Rs 96 per day among others. With this, the UP board has become the costliest among all in terms of revaluation procedure. Among other high charging educational boards is the Central Board of Secondary Education (CBSE) which asks for Rs 100 per question for re-evaluation and Rs 500 per subject for re-verification.